Lynne Crowther is a highly experienced social media consultant, a digital and social media lecturer, a successful food blogger and a digital awards judge. Lynne Crowther is a highly experienced social media consultant who has developed and implemented award winning online content for many blue chip organisations. She is a digital and social media lecturer and mentor, a successful food blogger and a digital awards judge. 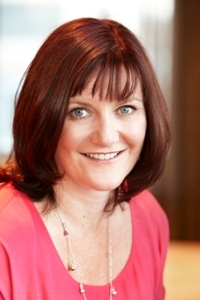 Lynne is an extremely experienced social media consultant, lecturer and blogger. She has won several awards for online campaigns and has worked on local, national and international initiatives for companies including: Coca-Cola Europe, National Trust and RAIN (Replenish Africa Initiative). Lynne lectures in the areas of digital and content strategy. She has a diploma in Social Media Communications and Online Reputation Management and is a Hootsuite certified social media professional. She writes an award nominated food blog, EatingIdeas.com, and is a member of the UK food bloggers association, the Foodies 100 network and the Irish bloggers group. She has written guest blog posts for Tourism NI (NITB) and currently writes reviews for LoveBelfast.co.uk. 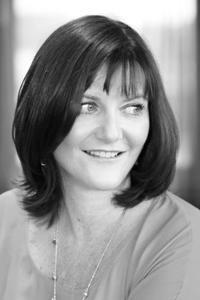 She is on the judging panel of The Irish Web Awards, Blog Awards Ireland and the Cork Digital Marketing Awards. Lynne is an experienced facilitator and speaker and she particularly loves sharing her wide variety of experiences and what she has learned from them. She has a warm and creative approach and uses her considerable knowledge to bring out the best of peoples abilities.